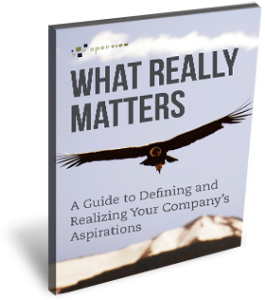 Is Your Company Aspiration Driven? For long-term success, focusing on company development may just be the most important step you can take. But to be truly effective, aspirations have to be more than just words on a page. It takes commitment from every member of your organization to live those aspirations each and every day.